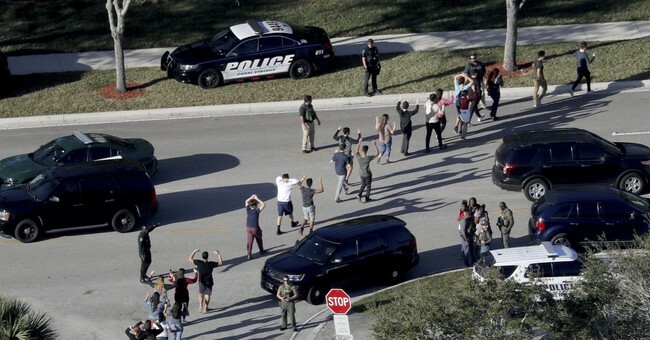 Parkland: Wait–It Took How Long For Police To Actually Enter The Florida High School On Day Of The Shooting? The whole department is rotten to the core. And it almost certainly comes from the top, from Sheriff Israel, who knew a lot more than he let on when he tried to blame everyone except himself at CNN’s town hall. We now have a full timeline on how law enforcement reacted on the day of the tragic shooting at Marjory Stoneman Douglas High School in Parkland, Florida on February 14. On that day, shooter Nikolas Cruz shot and killed 17 people. The attack lasted six minutes, with former school resource officer Scot Peterson waiting four minutes, doing nothing, as Cruz continued his rampage. Peterson has been heavily criticized for his inaction to confront the shooter, with some calling him a coward. He resigned when it was inevitable that he was going to be suspended without pay once Broward County Sheriff Scott Israel reviewed the footage of him standing around. Sheriff Israel, who has received criticism of his own for not acting upon the red flags on Cruz, said Peterson’s indecision “devastated” him and made him sick to his stomach that Peterson never went inside the building. The records appear to support Broward Sheriff Scott Israel’s contention that Peterson, a longtime school-resource officer, should have entered Building 12 to engage Cruz and try to prevent deaths. They also appear to show that other deputies may have refrained from rushing into the school at Peterson’s direction. Last week, Peterson hired lawyers to push back against the allegation that he’s a coward, saying the criticism of his actions was unfounded. Peterson’s attorney said there has been a rush to judgment on what he did the day of the shooting. Well, this seems pretty damning, though it doesn’t absolve the Broward County Sheriff’s Office for failing to follow up on tips about Cruz being a potential threat to public safety. The same goes to the FBI for dropping the ball on their January 5 tip, never forwarding it to their Miami office. And to state officials, who should have acted upon, among other things, Cruz’s self-mutilation in 2016, which could have triggered involuntary commitment via the Baker Act, barring him from purchasing firearms. This shooting was preventable. At 2:22 p.m. the fire alarm was triggered, blaring throughout the entire campus. The first 911 call also went out, via Coral Springs emergency-dispatch center. “We need to get units in here so we can trying to find this guy,” a deputy radioed.